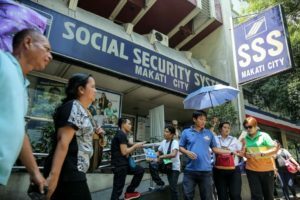 It is a common knowledge that many employers are violating their employees’ rights by denying them social security which the SSS provides. For a minimal fee, employees are safeguard from unexpected and unfortunate circumstances such as sickness or death. The latest operation from the Social Security System ‘Operation: Tokhang’ aims to end this abuse to employees. 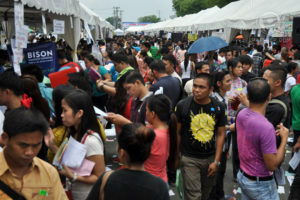 Aside from boosting collections, it also enables SSS to deliver better services to the Filipino people. However, many workers are still unaware of their rights and benefits that they should be enjoying as an SS member. Thus, it is very important to be well-informed and to understand the legal obligations of employers with SSS. All new employers are obliged under the SS Law to register with the SSS and get their Employer (ER) Numbers by accomplishing the Employer Registration Form (SS Form R-1). Employers must report all their employees for coverage using the Employment Report Form (SS Form R-1A). 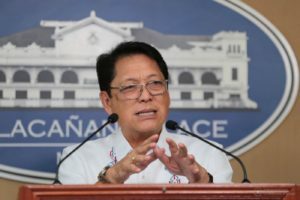 Deduct from the salaries/wages of employees the monthly SS contributions; pay his/her share of contributions including Employees’ Compensation (EC) and remit these to the SSS through branches with tellering facilities or accredited banks and collection agents within the prescribed schedule of payments (the deadline of payment for contributions and member loans depends on the 10th digit of the 13-digit ER number). Avoid late payments! 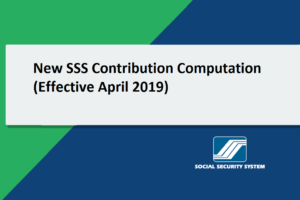 Check out the SSS Schedule of Contributions 2017. 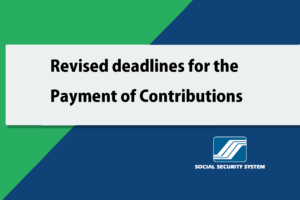 Submit to the nearest SSS branch office the monthly report of his/her employees’ contributions using the Contribution Collection List (SS Form R-3) in electronic media together with the validated Employer Contributions Payment Return (SS Form R-5) or Special Bank Receipt (SBR) and SS Form R-5 on or before the 10th day after the payment due date. Maintain an accurate and honest record keeping of employees’ monthly contributions and loan amortizations, if any, and record of sickness, injuries, and death of employees in manual logbook or electronic file for work-connected accidents. The employer should also make sure these records are readily available for inspection by SSS and its authorized representative. Keep other records relevant to employment such as payrolls, book of accounts be open for inspection. Deduct and promptly remit from employees’ salaries and wages corresponding payables from SSS member loans and submit MEMBER LOAN BILLING STATEMENT (SS Form ML-2) in electronic media together with the validated SS Form ML-1 or SBR and SS Form ML-1. Is your SS Loan Payment being remitted accurately? 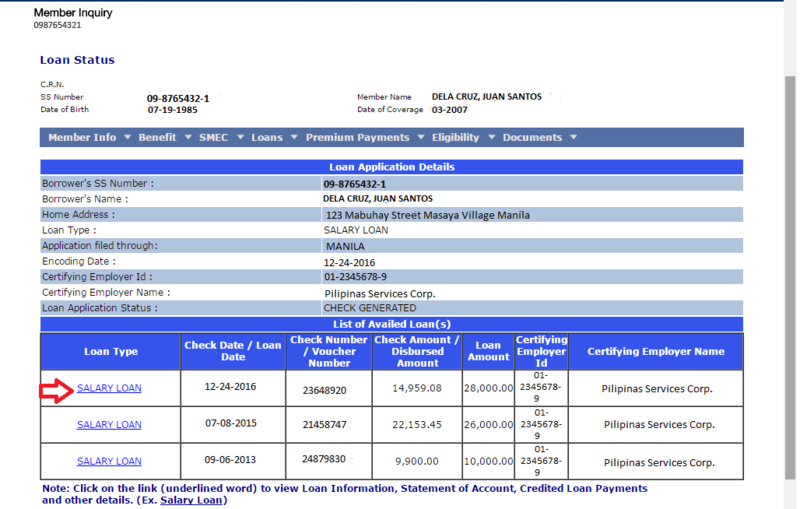 You can now check the STATUS OF YOUR SALARY LOAN ONLINE. 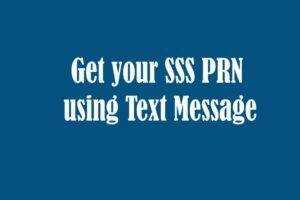 Register his/her or the company’s bank account to the SSS Sickness-Maternity Benefit Payment thru-the-Bank Program so that SSS reimbursements are deposited directly and safely to said bank account, instead of being sent via check in the mail. 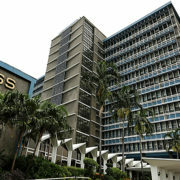 -SS and EC sickness benefits due his /her employees, based on SSS-approved sickness notification. 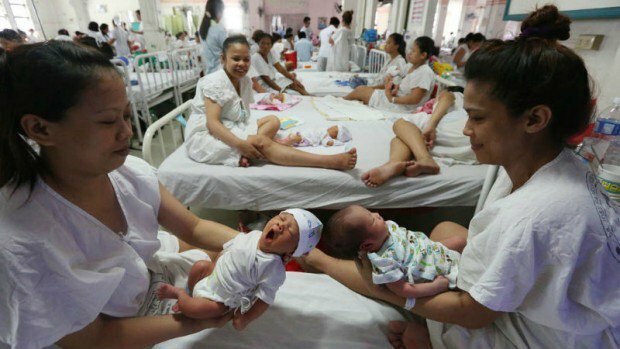 –SS maternity benefits due to qualified female employees, based on SSS-approved maternity notification. Thereafter, file for reimbursement of sickness and maternity benefits paid in advance to employees. 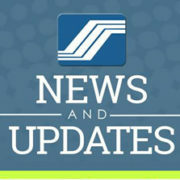 Inform nearest SSS branch office using the Employer Data Change Request (Form R-8) of any changes/updates in his/her data/records with the SSS. Comply with the rules and regulations promulgated by the SSC and implemented by the SSS. What must one do to report a delinquent employer? Go to the SSS branch nearest the place where the employer conducts business and file a complaint against the employer. If possible, bring proof of employment.